Latest T1 E1 Software Ver 12.3.8 (32/64-Bit) is Now Available | Download Now! The Universal HD T1/E1 is an enhanced PC-Based T1 and E1 solution that utilizes familiar computer user interfaces, to provide comprehensive and versatile T1 or E1 testing capability at a competitive price. GL’s T1/E1 analyzers supports both 32-bit and 64-bit applications. 64-bit support improves the performance of Protocol Analysers viz., ISDN, ISUP, GSM and allow users to monitor Hundreds to Thousands of Signalling Links simultaneously and continuously. Also, provides improved processing and response time for Statistics, Call Data Records, Search and other such functions. Enhanced CCA application allows better processing and response time for multiple instances of CCA applications for long run tests. Similarly, all basic Intrusive and Non Intrusive applications such as BERT, Monitoring Applications, Oscilloscope, Spectral Display etc provide better processing and response time for multiple instances of monitoring and simulations windows. MAPS™ Protocol Emulators are enhanced to provide improved performance for load generation and simulation of Protocols on 16 T1/E1 ports simultaneously. Smaller Size – The boards are smaller, with dimensions are 4.2" x 7.1" vs. the older boards 4.2" x 9.2". High Density and High Speed - The boards are significantly faster, and significantly more efficient than the older boards. The new boards use DMA and a 32-bit wide bus. CPU Utilization - CPU utilization with the newer boards is negligible. For example, one can simulate echo on hundreds of timeslots by running simultaneously "delay/attenuate" on all 24 T1 ports on all timeslots. The new boards are compatible with dual processor motherboards and software that simulates dual processors (i.e. hyperthreading). Universal boards have adjustable transmit clock frequency (+ / - 300ppm) for testing frequency lock sensitivity of T1 or E1 equipment. Features in-service monitoring and emulation of T1 and E1 circuit connections. Voice Frequency (VF) Drop and Insert : Besides providing access to in-band PCM data, the T1 (E1) provides VF interface for monitoring and inserting audio with Drop and Insert. Users can connect to VF ports using 3.5mm unbalanced (or mono) audio cable, with standard 600 Ohms termination mode only. VF Tx Gains for Universal T1 E1 analyzer ranges from -7.2 dB dB to +18.2 dB in 0.1dB steps, and VF Rx Gains for Universal T1 E1 analyzer ranges from -18.0 dB to +7.3 dB in 0.1 dB steps. Monitor the T1/E1 line conditions such as frame errors, violations, alarms, frequency, power level, and clock (or frame/bit) slips. Support for all "basic applications" and "special applications"
Provides convenient handset interface for voice over the T1 or E1 line. 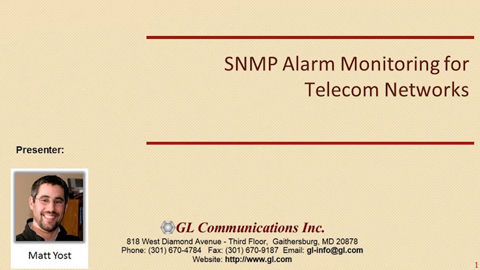 Remote testing and monitoring can be done using simple script based or GUI based client software. Precision Delay Measurement under basic software measures the Round trip Delay of a system. Round trip delay measurement is done by sending a BER pattern with the insertion of an erred bit and timing the reception of the erred bit. Measurement is precise and accurate to the microsecond level. A delay up to 8 seconds can be measured. The internal delay of the card is subtracted from the round trip delay. Supports both 32-bit and 64-bit Windows® operating system. tScan16 - a high-density T1/E1 board with 16 ports and the newer PCIe (x1) bus interface. Operating: -100 to 12,000 ft. Storage: -100 to 40,000 ft. Bit Errors, Bit Error Rate, Error Seconds, Error Free Seconds, %EFS, Severely Error Seconds, % SES, Degraded Minutes, %Dmin, Loss Pattern Sync Count, Loss of Sync Seconds, Available Seconds, %Available Seconds, Unavailable Seconds, Bipolar Violations, BPV Rate, BPV Seconds, BPV Free Seconds, Frame Errors, FE Rate, FE Seconds, FE Free Seconds, with Detailed logging into disk file. Resync In Progress, Loss of Signal, Blue Alarm, Change of Frame Alignment, Bipolar Violation, Frame Error, Carrier Loss, Yellow Alarm, Out of Frame Events Counter, Error Super frame Counter, Bipolar Violations, Remote Alarm, Distant Multiframe Alarm, Signaling All Ones, CAS Multiframe Error, CRC4 Error. T1 ESF Mode: Transmit/Receive Messages, Bit-Oriented Messages, and files. BPV, Bit Error, Frame Error, CRC Errors, Burst Frames, Fixed Error Rate, Random Error Rate, auto logic from 10-2 to 10-9 for selectable 56K or 64Kps channels. Synthesized Tone: 15 Hz to 3975 Hz selectable in 1Hz steps, +3.0dBm to -40dBm in 0.1 steps selectable, Frequency sweep. Dual Tone: Single or any combination of tones. Supervision: User defined states of A, B, (C, D) bits. File Playback: User created or recorded file. Special Codes: Milliwatt Codes, CSU Loop Up/Down Codes. Displays for All Channels: Signaling Bits, Power Level, Frequency, and Data. Recorder: Record Full/Fractional T1/E1/J1 Timeslots to hard disk file. Refer to VF Drop and Insert Capabilities webpage for more details. Audio Insertion: Selected DS0 replaced with inserted audio from VF Input - Range: 18.0 dB to +7.3 dB selectable gain in 0.1 dB step. 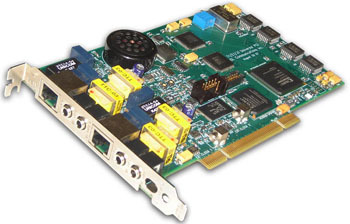 Universal T1 E1 Cards supports Normal (no cross-port), Cross-port Through, and Cross-port Transmit loopbacks. This mode is similar to the standard Outward Loopback except that the signal received on Card 1 (Port 1) is transmitted out onto Card 2 (Port 2). Likewise the signal received on Card 2 (Port 2) is transmitted out onto Card 1 (Port 1). This feature allows monitoring T1/E1 lines in-line while still being protected from loss of power to the board. This mode is effected entirely thru relays and eliminates complex cabling. In this mode, the data that would normally be transmitted on Card 1 (Port 1) is diverted and transmitted on Card 2 (Port 2) and the data that would normally be transmitted on Card 2 (Port 2) is diverted and transmitted on Card 1 (Port 1). The receive paths are completely unaffected. This mode is particularly useful for Drop and Insert and Error Injection applications in which the board analyzes and may insert traffic running between two pieces of T1/E1 equipment. This feature also eliminates complex cabling.